San Juan College students and community members bring the favorite story "A Christmas Carol" alive on KSJE radio. Under the direction of San Juan College theater director Mollie Mook Fiddler, listen and be transported back in time more than 100 years. The 2016 Broadcasts of "A Christmas Carol" are dedicated to San Juan College Theater Director Mollie Mook Fiddler. 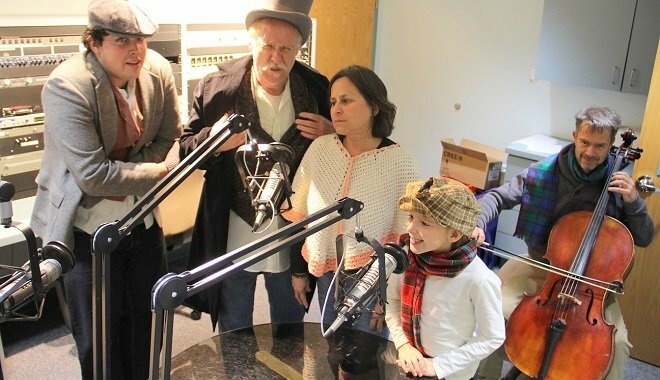 San Juan College radio station KSJE 90.9FM will rebroadcast the locally produced radio drama “A Christmas Carol” several times this holiday season. The first broadcast will take place Thanksgiving night, Thursday, November 24, 2016 at 7pm. Saturday, December 24, 2016 at 8pm.